Enderal is the Skyrim-based sequel to top Oblivion mod Nehrim: At Fate's Edge. It occupies a similar space of disbelief in my mind, too. Normally, I would never assume a total conversion of this size and scope could ever make it to release. But then, I thought the same about Nehrim and that did come out—despite what years of watching big mods get dragged down by drama has taught me. Can Enderal be similarly real? The mod's makers not only think so, but think it'll happen next year. 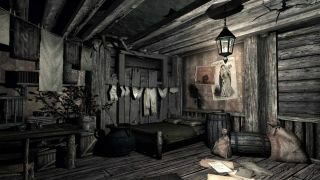 As proof of their intentions, they've released a trailer filled with scenes and environments from the game. It certainly looks like it exists. For more on Enderal, head over to its ModDB page.